Even in the cleanest of home environments you’ll find a number of harmful particles and substances floating around in the atmosphere. A Vax air purifier is one of the best ways to ensure that these airborne particles are filtered from your living spaces and don’t cause unwanted health complications or issues. Vax air purifiers are an effective means of trapping and removing a variety of different substances. 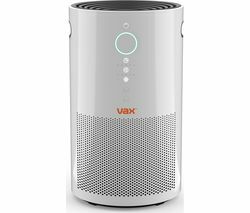 Whether you’re struggling with smoke, dust, mould or pollen particles, Vax air purifiers are a fantastic solution to unwanted contaminants in the home. They’re a useful tool in minimising the effects of allergies, asthma, and hay fever, and are approved by both Asthma UK and the British Allergy Foundation. 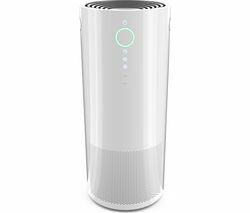 They’re also extremely effective at tackling airborne bacteria and neutralising viruses around the home, making them a powerful purifier that functions to increase the quality of the air you breathe. Vax air purifiers work over large room spaces and have a number of useful features incorporated into the design. Adjustable speed and sleep timer functions ensure that all our purifier products are easy to use and require very little maintenance. They’re manufactured to operate at an incredibly low volume, with a minimum of noise, and a night mode that ensures your sleep isn’t disrupted. Vax air purifiers also work well when used in combination with our range of other cooling and heating products. Customers may also want to consider taking a look at a dehumidifier, air conditioning unit, or air treatment products, in order to fully kit out your home. If you’re looking for home heating solutions from another manufacturer, you can see all Dyson fans and heaters here. Dyson are one of the leading brand names in the industry and offer incredible performance at very affordable prices.